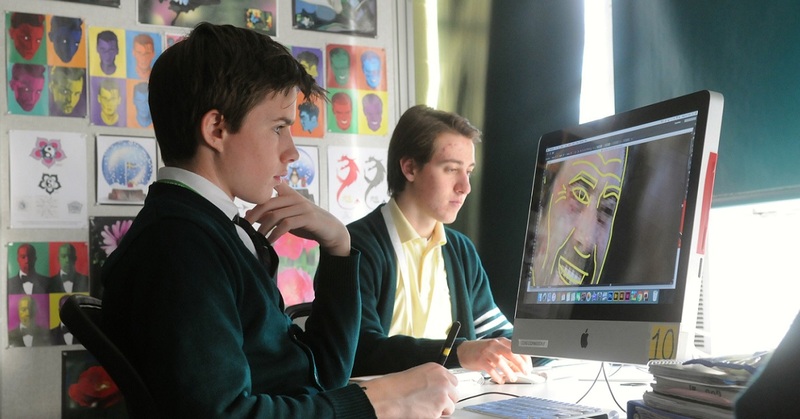 In Digital Arts and Media Studies, students can take courses that range from film studies or digital film production to general communication studies and Photoshop. Here is a sample of courses in this category. For more specifics, click here to view the entire Course Guide. How does media impact us, and what effect do we have on media? The answers to these questions will be thoughtfully debated and written about in this introductory course to the world of Communications. Students with an interest in journalism, print, or broadcast, radio/television/film, advertising, public relations, and the music industry should take this course. Students will be more informed and more engaged consumers and creators of content upon completion of this course. This course provides an introduction to story telling, scriptwriting, film making, and participation in CCTV. 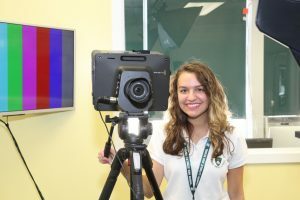 Students will work with HD camcorders and DSLRs and learn how to edit on Movie Maker, iMovie, and Final Cut. Students will also learn sound and lighting techniques and how to produce live and recorded video. This course provides an introduction to story-telling, scriptwriting, film making, and participation in CCTV. Students will work with DSLR cameras and learn how to edit on iMovie, and Final Cut. Students will also learn sound and lighting techniques and how to produce live and recorded video. reading and required writing. The hands-on “doing” of design will be supplemented with lectures, demonstrations, video, online research and critiques. Students gain useful, real world skills in time management, marketing, teamwork, and design principles. This is a year-long, project-based course that introduces students to the mechanics of a digital camera and professional photographic techniques including image processing, photo retouching, and collage work. These techniques will be used to edit/enhance the photographs that you take throughout the year using Adobe Photoshop, a professional program. 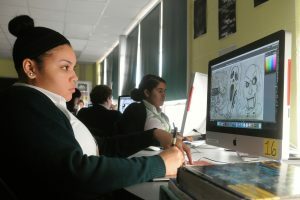 In this course students will gain skills in one or more of the following areas: page design, advanced publishing techniques, copy writing, editing and photography while producing a creative, innovative yearbook which records school memories and events. There is an emphasis on layout design, photography and journalism skills in this class. Participants gain useful, real world skills in time management, marketing, teamwork, and design principles. This course will involve students in the publication of the school yearbook from start to finish. Tasks of the course include writing copy, editing both text and layout using digital media.